An Accurate Rendering of the Galaxy S10+? The Galaxy S10 series is about to be unveiled in less than three weeks' time in San Francisco, at an exclusive Samsung event on the 20th of February, so isn't it about time that we got a look at the actual handset via leaks? Well, there has certainly been a few, but compared to the last few years, the number of live images have been surprisingly low. Nonetheless, the renders have left little to imagination and today's render seems to be one of the most accurate depictions of the upcoming S10+ with a 6.4" display that we have seen so far. 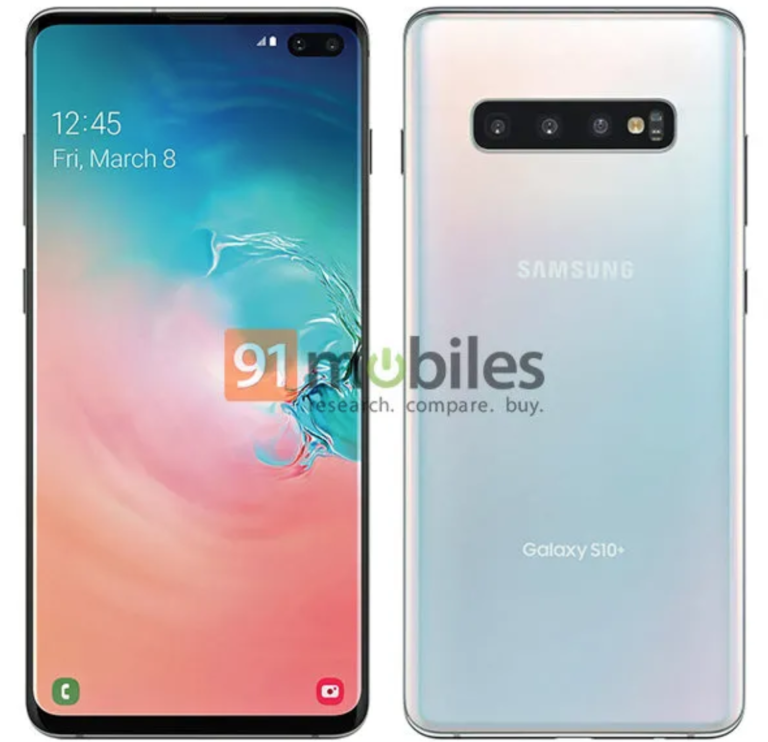 Take a look at the image and let us know what you think about this leak, or if you are of the opinion that Samsung has something more interesting up its sleeves? Personally, I think this image by 91Mobiles have far too big bezels, in comparison to what we have seen so far, but that in itself is probably the reason why this is likely what we will see in the upcoming Galaxy S10 series of smartphones! Tags: accurate rendering galaxy s10+?